November 1, 2016 - Taipei Taiwan - GlacialTech, a division of the LED technology manufacturer GlacialTech Inc, announces the GP-HS08N-21C1 LED driver. 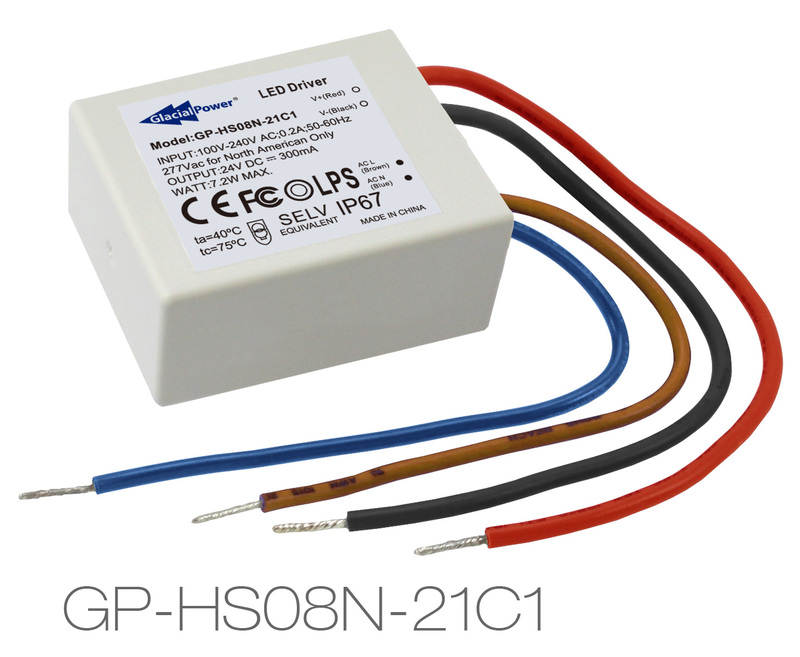 This model is a new addition to the well-established GP-HS08N 8W series, supporting 250mA to 680mA. The new model is complaint with the EU’s ErP standards for efficiency and environmental sustainability without carrying extra cost to customers. The European Directive ErP encourages manufacturers to reduce their product’s impact on the environment to improve sustainability and use fewer resources both in factories and in disposal. They also establish standards to improve energy efficiency while reducing waste. GlacialPower believes in building more sustainable products, and is happy to announce that the GP-HS08N-21C1 fully complies with ErP regulations. This is doubly impressive for the driver’s competitive performance and compatibility. The driver can handle universal AC input between 90 and 295VAC and supports a constant current mode for consistent luminosity across lights and improved reliability. It has a very low no load consumption under half a watt and a fast set-up time under half a second at 230VAC. 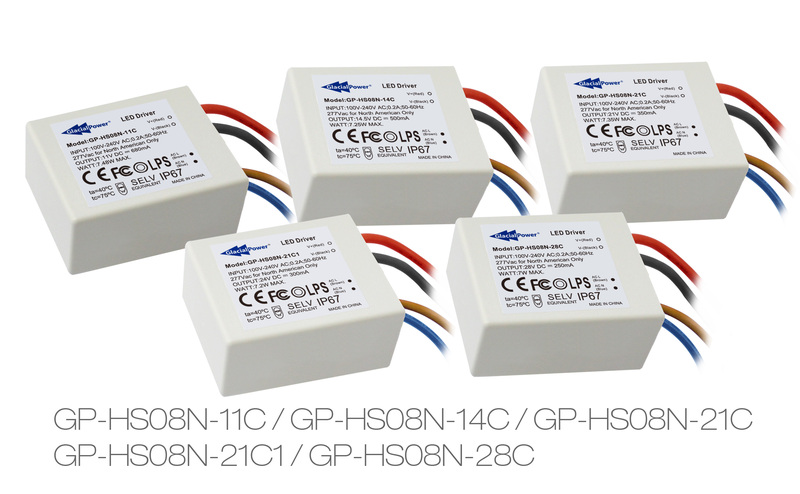 The GP-HS08N-21C1 is rated for 300mA with a current tolerance of 7%.